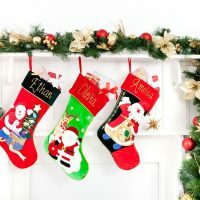 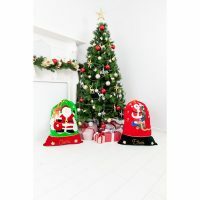 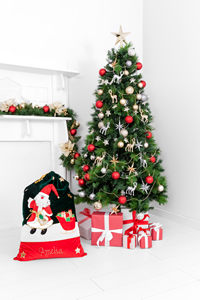 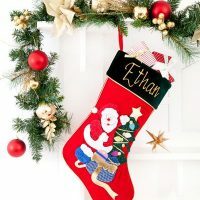 Add to the excitement of Christmas morning with this incredibly stylish appliqué Santa Sack. 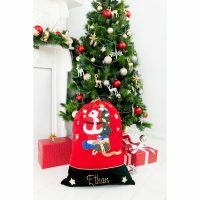 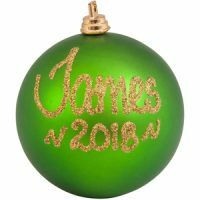 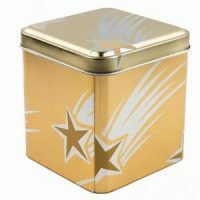 Featuring a festive appliqué design with a gold drawstring stener. 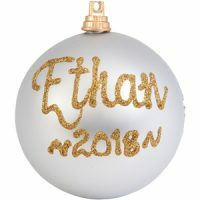 Personalisation – hand painted in gold glitter.